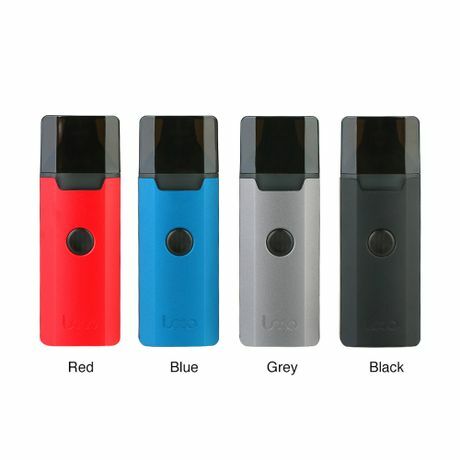 GTRS LOCO is a new compact pod kit with portable design and four classic colors. Constructed by Aluminum Alloy & PC, it provides high texture and comfortable hand feeling. GTRS LOCO comes with built-in 1000mAh battery and 3ml ejuice capacity. It features the two replaceable coil heads and the base adapter with adjustable air-flow hole, which delivers unprecedented smooth flavor. Besides, the one fire button and LED design makes operation much easier. Just get one to start your simple vaping journey! Kangertech Ripple is new compact starter kit with minimalist design and portable size, composing of the Ripple mod and Ripple subohm tank. Powered by dual 18650 battery, Ripple mod supports the max output of 200W. With advanced output chipset, it shortens the ramp-up time a lot so that you can start enjoying vaping right away. 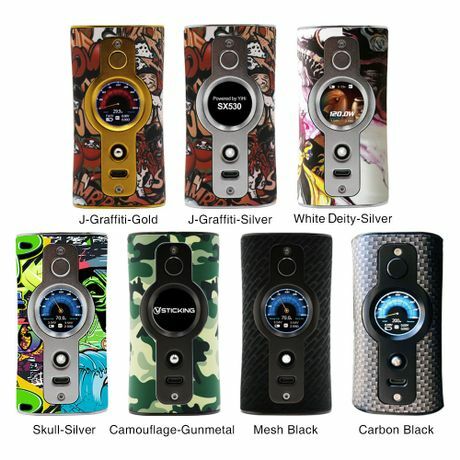 It adopts the unique custom modes of Beginner/Intermediate/Expert, which meets different vaping requirements. Besides, the multiple protection systems can provide you a safe vaping environment. The Ripple tank comes with 3.5ml ejuice capacity. It features NR Mesh coils and NR2/8-OCC for awesome flavor and massive clouds. 4 classic colors in available. How long have you been vaping? 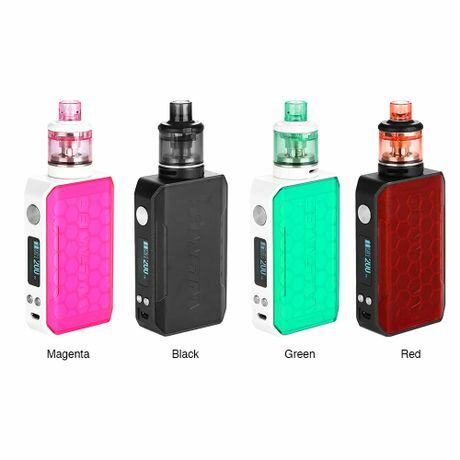 Whether you’re a beginner, intermediate level or an expert, with 3 innovative modes settings, the Ranger box 200W TC Kit is going to satisfy all your vaping needs. It comes with the new Ranger box mod and the Ranger Subohm Tank. The Ranger box mod has a smooth hand feel with its sharp and clean finish all around. It also has a large OLED display to make all the operation visible. The Ranger Subohm Tank has 3.8ml e-juice capacity with easy slide to open top filling design. Even though the airflow control is located in the bottom, it is guaranteed to be leakage free. It is compatible with Milli Mesh Coil and Milli Coil for purest flavor. Artery Pal series have been widely acclaimed due to its compact design and stable performance. Following the Pal One Pro, Artery released the newest member - Pal II, which is a collaboration project with Tony B. Remaining the card case design, it fits well in your hand. With 1000mAh built-in battery and 2ml/3ml juice capacity, Pal II provides you a long-lasting vaping. The main feature is two outstanding coils, 0.6ohm mesh coil for decent flavor and huge clouds and 1.2ohm MTL coil for satisfying MTL vaping. Along with the innovative slide refilling system and adjustable airflow, this Pal II is worth of your try. 4 trendy colors to select. You won’t believe how slim this device is! 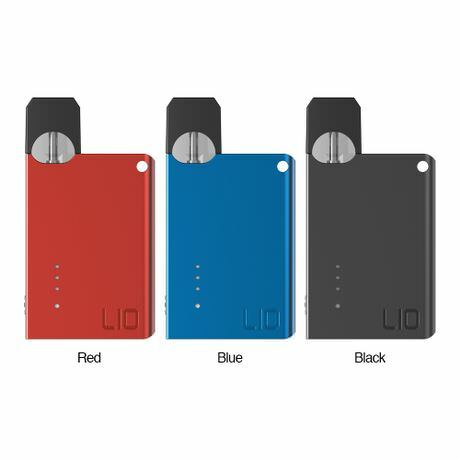 The LIO Device Starter Kit 400mAh is a great all-in-one pod starter kik with compact and portable design. It is small yet powerful. With built-in 400mAh battery and LED battery level indicator lights, it will bring you a much more stable vaping experience. Easy operation with the on and off switch on the side. It also comes with two refillable cartridges. Worried you will lose the kit since it is ultra-compact? LIO Device Starter Kit’s got you covered! It has a lanyard attachment design on the top right corner. If you are looking for a visually striking and easy-to-carry kit, then you need look over here. 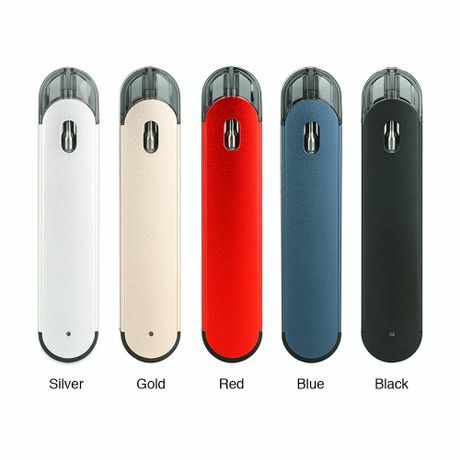 OneVape newly released such kind of pod kit, called Lambo. It adopts the irregular design with multiple surface, definitely making you stand out of the crowds. Coming with 360mAh built-in-battery and 2ml cartridge, Lambo features the circulating convection airflow, which provides you a smooth and comfortable vaping with nice flavor. Along with three-color LED indicator and battery protections, it’s worth of your try. 4 colors to choose. The cozy Christmas and New Year are tiptoeing with snowflakes. So, to bid farewell to the outgoing year 2018 and celebrate the oncoming new year 2019, we offer a great promotion for you! Let’s enjoy a hot bargain at the cold winter! Unpaid orders will be cancelled before and after sales, don’t forget paying! To meet different vaping requirements, OBS pairs the hot OBS Cube mod with the Engine MTL RTA and brings us a new DIY kit - OBS Cube MTL kit. As the new member of flavorful Engine family, the Engine MTL RTA comes with 2ml ejuice capacity. It features top cap clip-on design and top filling system for easy refilling. With the two post building deck, it’s convenient for single coil building and the air will reach the coil directly from the bottom to produce better flavor. OBS Cube keeps the same. Powered by built-in single 23600 battery with 3000mAh capacity, it supports 80W max output with high performance VW mode. Besides, it features 0.96 inch LED screen, instant 0.01s firing speed, exquisite buttons and intelligent protection, providing you a powerful yet simple and safe vaping experience. Say hello to the new device from VapeOnly, called Smooth, which is a fashionable kit composing of a 1000mAh inbuilt battery and 2ml capacity tank. With the ergonomic and slim design, it’s very comfortable to hold. Smooth features a sensitive touch button to adjust three-level power, including 10W, 15W and 20W. It comes with the 0.8ohm KA1 coil for flavorful clouds. Besides, it also suits for CBD coil, bringing you different vaping fun. Just get one to enrich your vaping life! It’s celebration time in China! Everyone is preparing for the oncoming Chinese Spring Festival of 2019! To share the joy with our beloved retail customers, we launch an Early Spring Sales for you! Let’s enjoy a hot bargain at the cold winter! 4.Unpaid orders will be cancelled before and after sales, don’t forget to pay! Can’t use any extra code at the same time. IJOY newly released a more compact and delicate version of the previous Shogun Univ, called Shogun JR. Like its old brother, Shogun JR adopts the same beautiful double-sided resin panels design but the panel is replaceable, which makes your vaping life more colorful. Powered by inbuilt 4500mAh battery, it fires up to 126W output with multiple vaping modes. Besides, the UNIV chipset provides you a safe and stable performance. 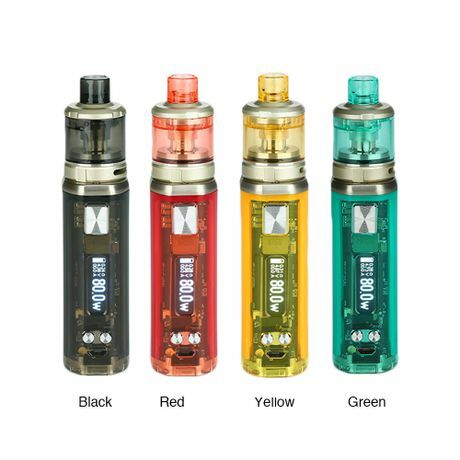 The paired Shogun subohm tank has 2ml/6ml ejuice capacity options. It comes with advanced mesh coil for excellent flavor and big clouds. If you’re looking for a new kit, this IJOY Shogun JR is a decent choice. Hey guys, today we introduce you two exquisite starter kits from Vaporesso - Sky Solo and Sky Solo Plus. The main differences between the two are the size, ejuice and battery capacity. Sky Solo comes with 2ml/3.5ml capacity tank and built-in 1400mAh battery, which is more compact. And the Sky Solo Plus includes 2ml/8ml e-juice capacity tank and 3000mAh larger built-in battery, meeting higher vaping requirements. Other features are the same. Both of them are simple and portable pen style kits, easy to carry and operate. They adopts advanced OMNI Board Mini chip for safe and excellent vaping performance. Compatible with GT series coils especially the GT mesh coil, they can bring you a fantastic vaping experience with pure flavor and huge clouds. 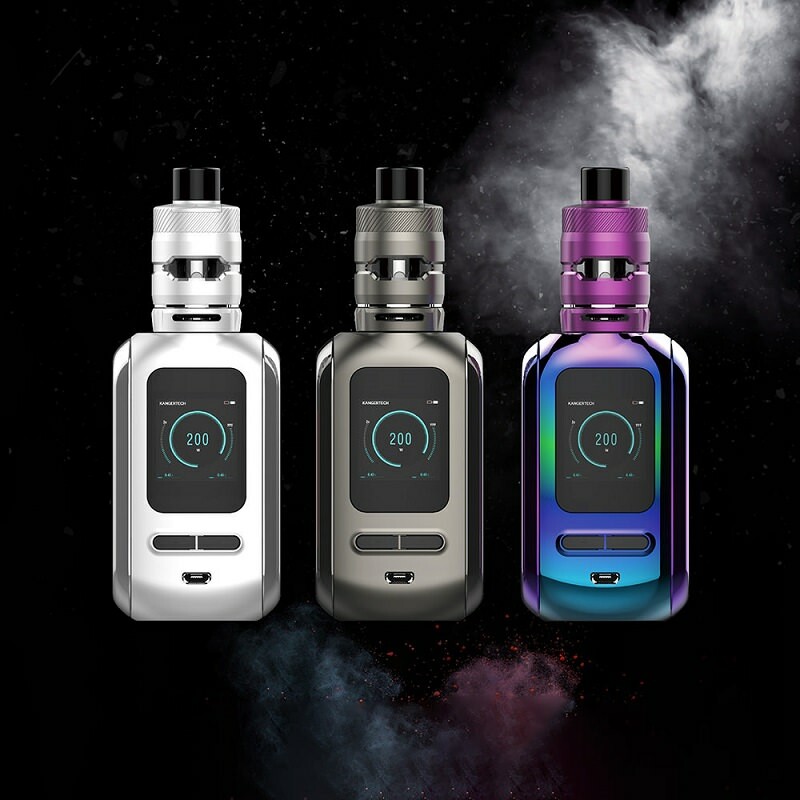 Along with convenient top filling and one button design, the Vaporesso Sky Solo and Sky Solo Plus definitely won’t let you down.